Pop quiz: What object do you spend the most time looking at, but the least time thinking about? You can’t do your job without it, but it’s only useful when you fill it. And it can affect the course of your entire day without you even knowing it. Many working professionals give very little consideration to the role their monitor plays in their daily work. But for jobs that require multitasking — which, let’s face it, is almost every working professional today — the style and configuration of monitors can either boost productivity and comfort levels dramatically or make them plummet. Dual monitors improve employee satisfaction and productivity. The first IDC InfoBrief, Improving Productivity with Dual Monitors, summarizes a 2015 Wichita State SURL Study to show that dual monitor users are 18 percent more efficient, completing tasks at hand quicker and with more accuracy than single monitor users. This is largely because dual monitor users can compare more information simultaneously, switching windows 15 percent less frequently than other workers. Perhaps most significantly, 91 percent of study participants said they were more satisfied with dual monitors than single monitors. The IDC InfoBrief goes so far as to say that, for office workers dealing with information as a large part of their workflow, dual monitor configurations are a must. 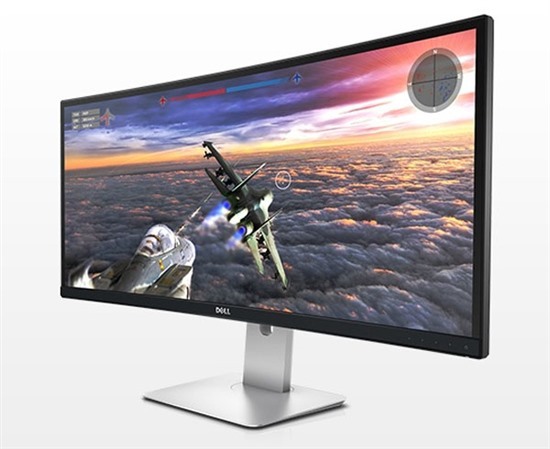 Dell’s selection of thin bezel Dell UltraSharp monitors (U2415, U2515H, U2715H, U2417H and U2417HA, U2717D and U2717DA), especially lend themselves to a dual or multi-monitor setup with virtually borderless viewing between monitors. Like the curved ultra-wide monitors, our thin bezel displays are tuned for wide-angle viewing and maximum real estate. Of course, a dual monitor setup isn’t the only option for increasing screen real estate thus boosting productivity. The ultra-wide, curved monitors can give workers some of the same productivity benefits. Almost half of all PCs being purchased by IT departments globally today are notebooks. This is fantastic for convenience and mobility, but the smaller screen size can be less than ideal for longer working sessions. When users have to constantly scroll or switch between applications, it can very quickly impact productivity and efficiency. Recently, IDC tested the Curved Dell U3415W alongside a flat 34-inch monitor, created by a Dell competitor, for its Technology Spotlight Curved Ultrawide Monitors: Seeing the Big Picture. Both monitors measured 34 inches with a 21:9 aspect ratio, and brand names were hidden to eliminate any bias from respondents, who represented over ten different industries ranging from finance to fashion design to software programming. The IDC Technology Spotlight found that, despite the identical size and resolution of the monitors, the flat panel caused more eye fatigue vs. the curved screen, as users strained to see information on the far left and right sides of the screen. 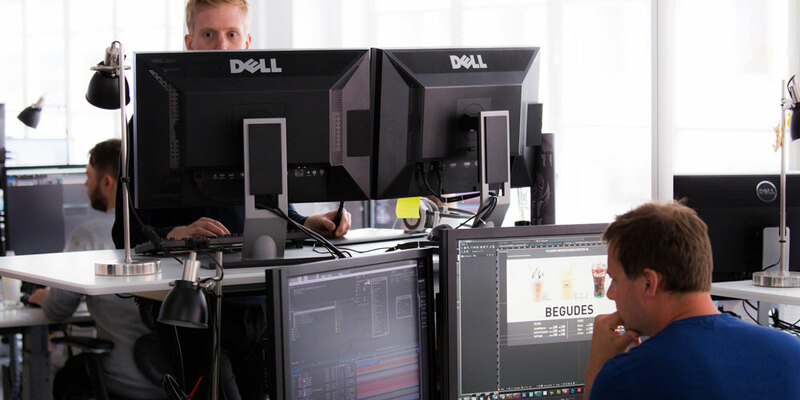 The IDC Technology Spotlight, sponsored by Dell, found that the Dell UltraSharp Curved Ultrawide Monitor (U3415W) improves productivity and efficiency, especially for workers in financial or creative fields. While the Dell screen rated highly across industries, professionals in finance, accounting and creative work found the most benefit from the curved screen, thanks to the ability to display multiple windows without scrolling or task switching. (By the same token, Videomaker Magazine called the Dell U3415W a “video editor, colorist and VFX artist’s best friend.”) Across the board, respondents preferred the Dell product’s matte screen and commented on the monitor’s attractive industrial design and build quality. The findings of both the InfoBrief and the Technology Spotlight support our approach to designing monitors for today’s workplace needs. Whether our customers need ultrawide, curved displays, a more compact profile or a mixture of both, we offer monitors that minimize eye strain and maximize the ease of establishing multi-monitor configurations. When we can set workers up with a comfortable, efficient workstation, their satisfaction increases, their productivity skyrockets, and the entire organization benefits.